This painting was auctioned on 12 July 2002 and sold, buyer unknown, probably private. The position of the little finger of the player’s upper (right) hand is odd, though: it appears to be resting on the instrument. 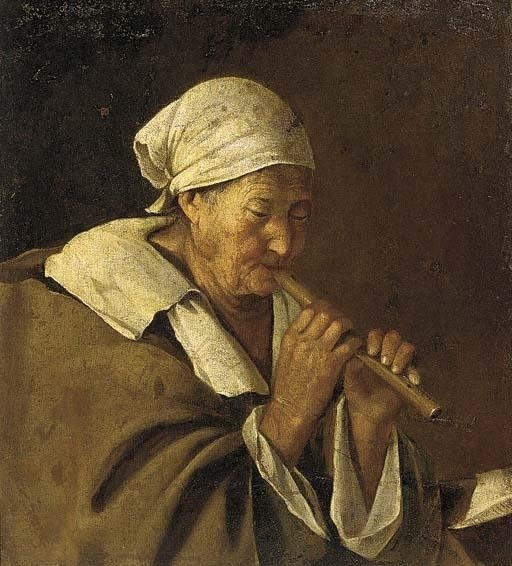 There are not so many portraits of women playing the recorder, least of all elderly ones.